Nearly two million Cambodians, including many invaluable artists, educators, and spiritual leaders of various communities, fell victim to the “Killing Fields.” Despite the genocide, Khmer artists in particular continue their work at maintaining artistic expression, which the Khmer Rouge sought to eliminate from 1975-1979. In the spirit of ancestral teachings, Spean Rajana was born. Spean Rajana is a way to respond not just to tragedies of the past, but also to the global Cambodian community’s need for cultural advancement and inter-generational solidarity. Spean Rajana strives to elevate talent and assets to promote healing through the arts. In 2003, an organization called “Rajana Society” was founded by a group of motivated Khmer (Cambodian) students at the University of Washington in Seattle. In 2013/2014 Rajana Society was resurrected under the leadership of Sameth Mell, Baron You, Nissana Nov and Phatry Derek Pan. The work of the resurrected organization focused on broader issues connecting through multi-cultural unity, ethnic based programming around arts & civics as a platform to re-imagine and contribute to a growing Khmer diaspora. “Rajana” means artistically creative in Khmer. Because of the newfound vision, Rajana Society is rebranded into SPEAN RAJANA. “Spean” means bridge. Spean Rajana is “bridge to artistic creations”. 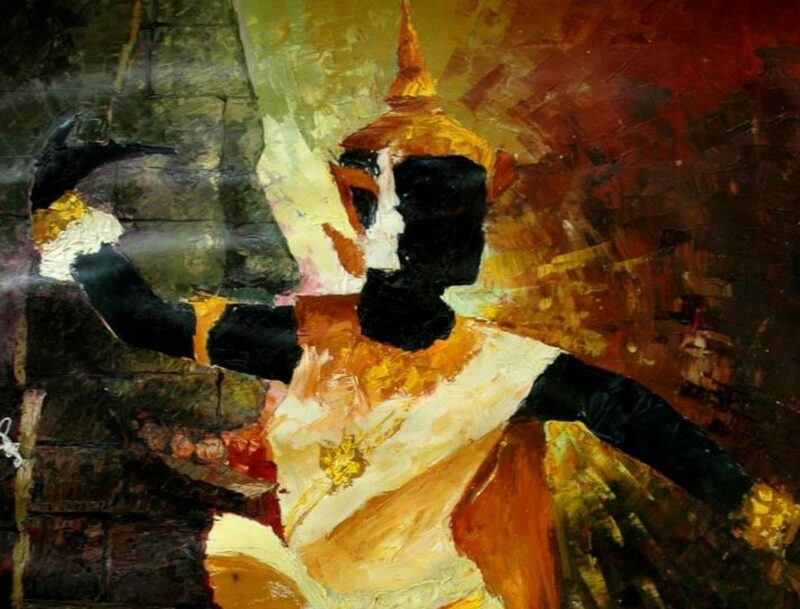 Spean Rajana’s vision is to be the leading force in advancing Khmer arts worldwide. By providing a platform for sharing, learning best practices and celebrating Khmer heritage and contemporary arts and culture (including policy), the organization hopes to promote dialogue and collaboration between Khmer/Non-Khmer artists and creatives. Spean Rajana’s partnerships include Cambodian Ministry of Fine Arts and Culture, the United Nations, Seattle Department of Transportation, CIRCC (Coalition of Immigrants, Refugees and Communities of Color), Front & Centered, Asian Pacific Islander Coalition of Washington State, King County office of Elections, Seattle Foundation, Seattle Office of Arts & Culture, student organizations across the U.S., Seattle’s Cambodian Genocide Museum, Chicago’s Killing Fields Museum, F.I.G.H.T. (Formerly Incarcerated Group Healing Together), and Seattle-Sihanoukville Sister City Association, and many more. The organization educates, elevates, and establishes artistic creations through programs and partnerships.